Europe’s historical cities, museums, ancient buildings, monuments and townscapes are renowned worldwide for their beauty, diversity and historical significance. Millions of people visit them every year but many others feel unwelcome due to physical barriers and inadequate services that can prevent people with sensory or physical disabilities from accessing them. How can you make historical city centres and buildings more accessible without compromising their cultural heritage? How can wider access be reconciled with conservation interests? This is the one of the biggest challenges in Europe regarding accessibility and an important field for the foundation sector to engage in. Launched in 2010, the League of Historical and Accessible Cities (LHAC) is a pilot project focusing on improving the accessibility of historical towns while at the same time promoting the development of sustainable tourism and the protection of cultural heritage. To date, 6 accessible tourist routes have been created in 6 different cities across Europe (see links to the left). Check out the League of Historical and Accessible Cities' video overview! The main goal of the project is not only to allow people with disabilities and their families to take full enjoyment from leisure and cultural activities, but also to stimulate tourism among the 80 million people with disabilities living in Europe. From this point of view the project is therefore expected to contribute to the cities´ long-term cultural and social development. Improved access to a city’s cultural heritage makes it more dynamic and attractive to its residents and tourists and thereby increases its economic profit and growth. ► Read more about the LHAC or download the LHAC overview in PDF format. ► Find out more about the project members’ local projects! 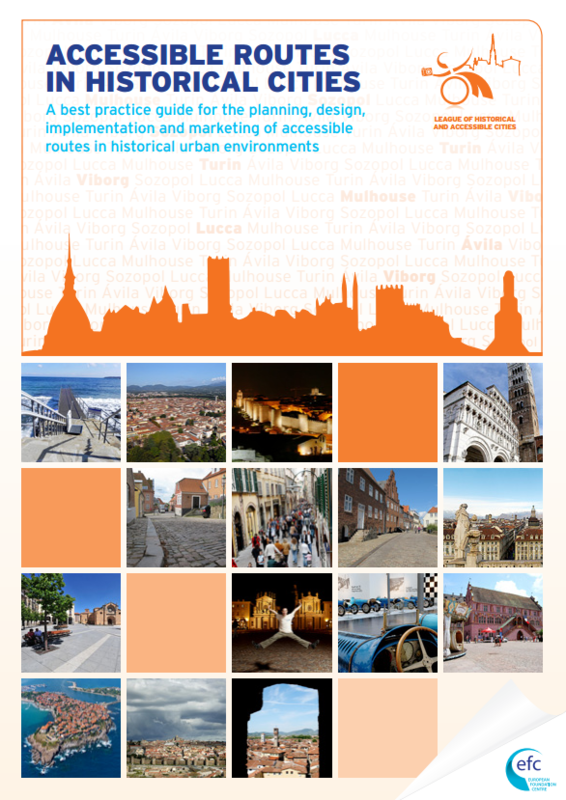 The League of Historical and Accessible Cities is now registered as an action on sustainable urban mobility under the DO THE RIGHT MIX European Commission Campaign and can now be viewed on the campaign website here (Search using the “list view” and "by country" taping France, Italy, Denmark or Spain). Click on the logo to read the whole news. The LHAC was selected as a best practice and resulted on of the 5 winner of the 2014 International Design for All Award. The award recognises examples which stand out in terms of their impact and which indicate the way ahead for better implementation of design for all/universal design.